Govt Job circular is an attractive job in Bangladesh. 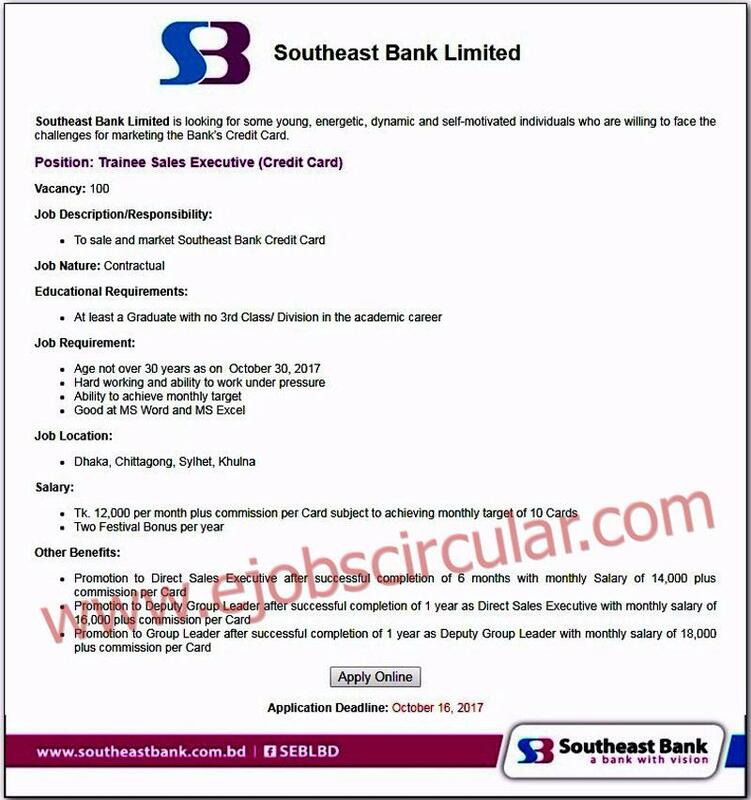 Southeast Bank Recruitment Noticed Some New job in there circular. No Experience Needed ! Apply now through Online. Read below this Full information about southeastbank then apply today.